LG officially launched their new lineup of 4k OLED TVs with HDR support. But considering both OLED and HDR technologies are still on the pricey side, the sets aren’t exactly cheap. However, if you’re looking for a TV that’s more efficient than LED sets, supports 10-bit color, and stands out in its class the LG models are money well-spent. The 4k LG OLED models with HDR start at $3,999 for a 55-inch class with either a flat or curved panel design. (The B6 line designates flat-panels, while the C6 indicates a curved-panel.) All eight models will display High Dynamic Range (HDR) content with support for Dolby Vision and HDR10 specs (something we hope all manufacturers will do), and have been given the “Ultra HD Premium” stamp of approval by the UHD Alliance. The new 2016 line of LG OLED TVs consists of four series: B6, C6, E6 and LG Signature G6, with class sizes in 55, 65, and 77-inches. 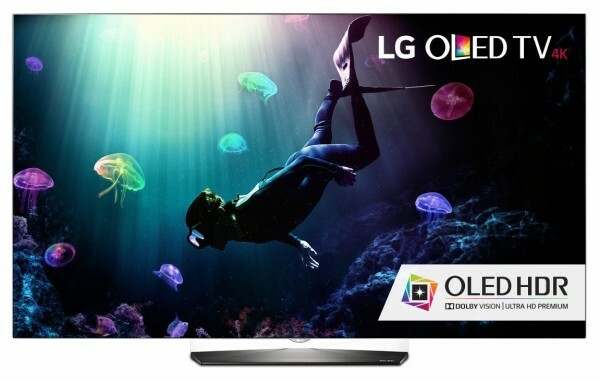 All models are available at select retailers with the exclusion of the 77-inch LG Signature model.